DESCRIPTION Welcome to this gorgeous home in Silverado... really looking like a Show Home! This 2-storey home will impress you from the moment you walk in till the time you leave. To your left - a warm cozy living area with a gas fireplace, great for those cooler nights. Head towards the back of the home.... A stunning kitchen and a good sized dining area. Gorgeous dark cabinets, black appliances, with a center island and eating bar, mud room off back entrance, main floor laundry room. All 3 bedrooms have walk-in-closets, a full 4-piece bathroom conveniently located on the second floor. This home has tons of light, and some really fantastic upgrades. Minutes to schools, Silverado shopping center with Sobeys, Starbucks, Somerset LRT Station and YMC. This is a fantastic family community. Very few homes at this price offer so much value, space and setting... Come to view it today, you will not be disappointed! Home for sale at 399 Silverado DR Sw Calgary, Alberts T2X 0G2. 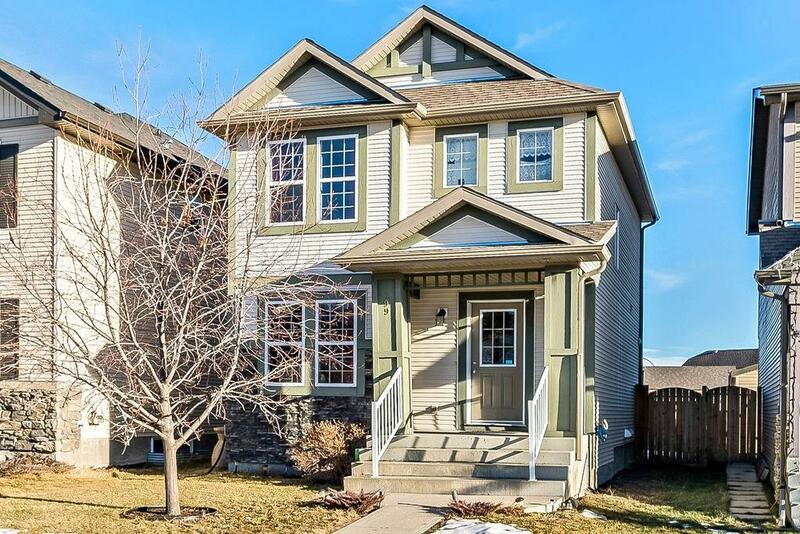 Description: The home at 399 Silverado DR Sw Calgary, Alberta T2X 0G2 with the MLS® Number C4220682 is currently listed at $349,900.